Do you know how to make your hair grow faster? Take a look at these simple tricks. Every woman who wants to have long hair needs to consider some advice from specialists. These tips and tricks will help you learn how to make your hair grow faster. However, you need to be patient. This will not happen overnight. Usually, hair grows approximately a half an inch per month. It is advisable to regularly trim your hair to make sure it’s healthy. This trick will not necessarily help your hair grow faster, but it will help it grow healthier. You will get rid of split ends, and your hair will grow both from the roots, but also from the tips down. If you delay trimming your hair, the splits might work their way up, and you will need to cut your hair even more often. Every time after shampooing your hair, make sure you use conditioner. Hair dyes and heat styling tools can severely damage your hair, causing it to be thinner and weaker. When conditioning your hair, you provide it with the necessary amount of proteins and lipids. Furthermore, the conditioner will seal the cuticle to prevent more damage. You do not have to shampoo your hair every time you shower. However, you can always condition it. The shampoo is made to wash away product buildup and dirt. Furthermore, shampooing all the time can deplete your hair from its essential natural oils which keep your hair strong and soft. 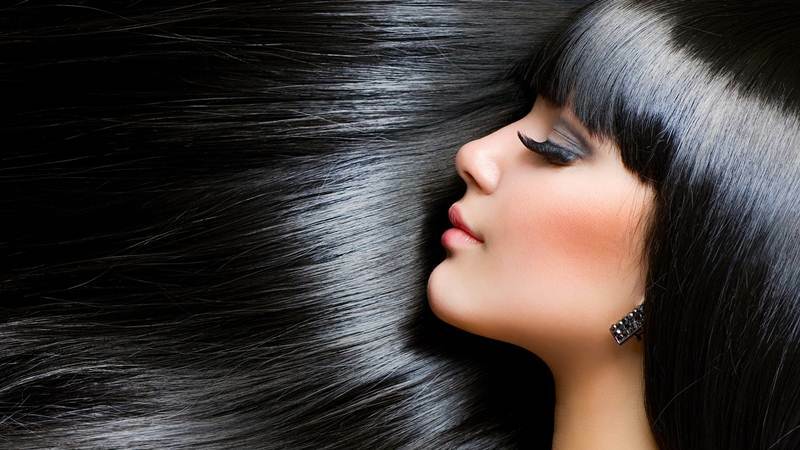 Use these tips and tricks on how to make your hair grow faster to have a healthy long hair. We have all got used to wrapping our hair in a towel after squeezing the excess water, after a shower. This will only cause more breakage. You will not even notice how your hair gets caught in the woven fibers and the fragile strands will definitely break. However, if you still cannot give up this habit, use a very thin soft microfiber hair towel. Try to establish a hair care routine and apply a weekly mask or oil to hydrate your hair. If you have long hair that means that your strands are a few years old and they need more TLC. You could make your own natural oil treatment and apply it once per week. An oil treatment for your hair will be able to nurture it, filling your strands up with fatty acids. After keeping your hair mask on for 10 minutes, shampoo your hair and condition it. If you want to have healthy long hair, consider adapting your diet to implement some hair-building nutrients or consider supplements. You could take biotin tablets or other hair-boosting supplements. However, consider asking for your doctor’s advice before taking any pills. Many hairstylists indicate that a sateen pillowcase is softer and won’t cause friction like a cotton pillowcase would with your hair. Therefore, if you use a sateen pillowcase, you will have fewer tangles when waking up. If you want to know how to make your hair grow faster and be like Rapunzel, you will need to make sure that your hair is healthy. Remember that your beautiful locks will not grow overnight and you will need to be patient. Use hair-boosting supplements and oil treatments to have soft and strong hair.